For the stuffing-boiled potatoes,green peas,cauliflower florets. Boil the potatoes and green peas. Fry the cauliflower florets(with closed lid) till they are soft.Keep them aside once done. Dry roast the cumin seeds,red chillies and cardamom.Grind these to make a fine powder. This is the masala used. Now add the boiled potatoes and green peas to the pan. Add salt,turmeric powder and the above prepared masala. Cover and cook for about 5 min. Mix some oil with the all purpose flour/maida. Slowly add water and knead to prepare the dough. The dough should be tight.This is very important.That's why add the water little by little as much as required in preparing the dough. Once the dough is ready make equal balls out of it. The ball should not be too small or too big.I have posted the pictures below.They are in a sequence. With the help of a rolling pin make thin rotis. 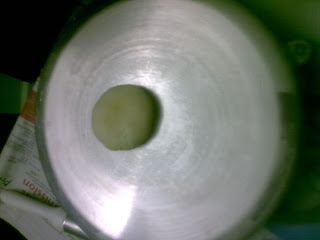 The rotis should be oval in shape and not circular. 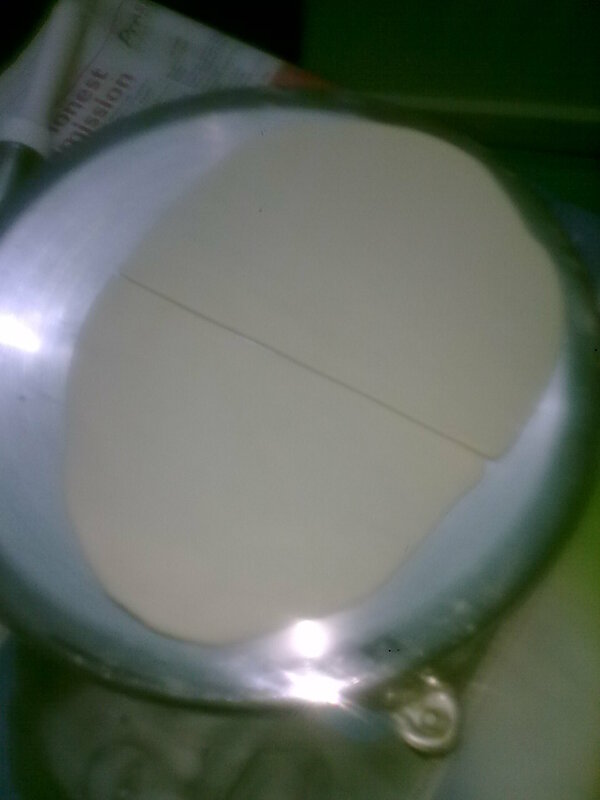 Cut the roti in the center to make two equal halves.If not exactly equal there is nothing to worry. Take one half.Stick the adjacent edges of the half together to form a cone. 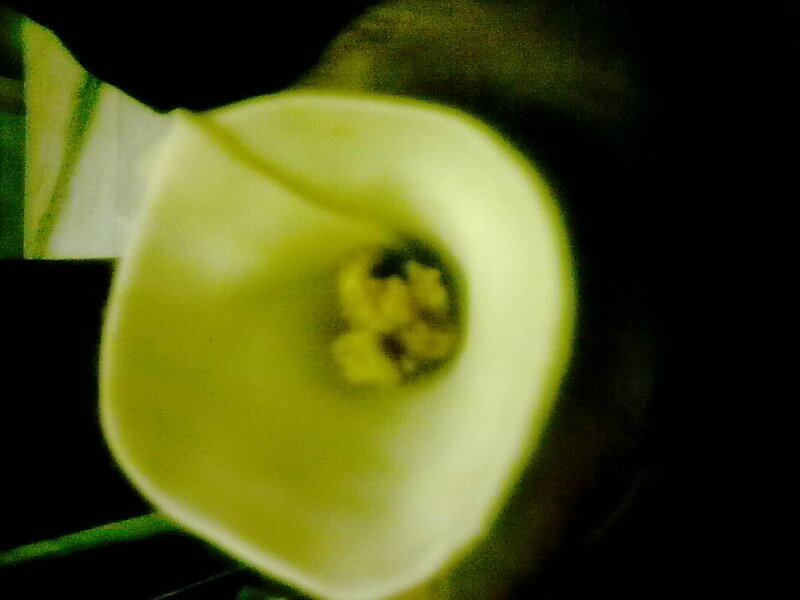 Once a cone is formed add the stuffing inside it. Seal the top of the cone to form a samosa.This actually will be the base of the samosa. 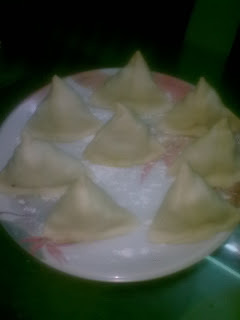 Similarly prepare samosas with the rest of the dough. Heat oil in deep-bottom pan.The oil should not be too hot. 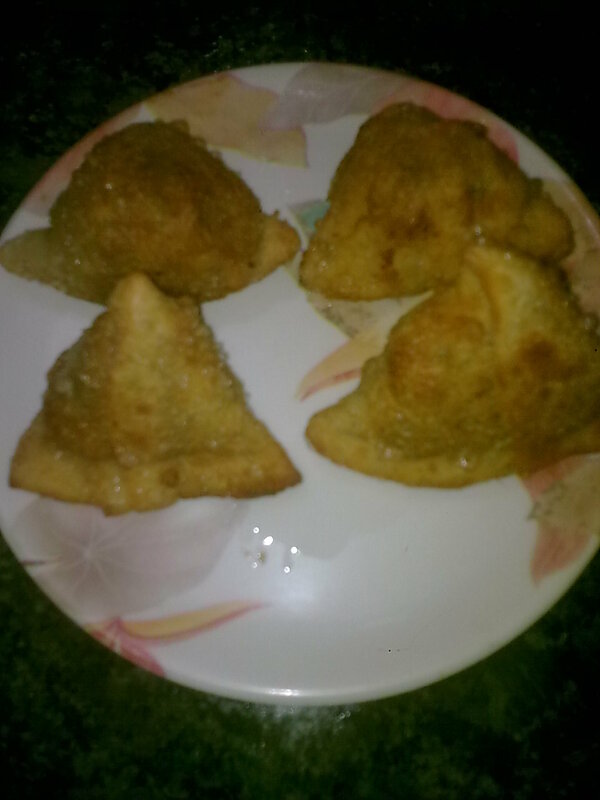 Keep the flame on medium and fry the samosas.